Hey people, I hope you all are doing fine. And the fact that you are reading So-Saree right now, will definitely ensure that. If you are a So-Saree follower or if you know me personally, you will be well aware of my taste in sarees. I have seen that most girls my age, prefer sarees in synthetic fabrics and funky prints. Though I wear synthetic fabrics and once in a while sport funky prints too, I feel the most beautiful sarees are the ones that our mom's generation wore. Traditional drapes, natural fabrics and contemporary designs. India is a culturally rich country. As you move from the South to the North of India, you will see that each state has a different history, different culture and different charm. 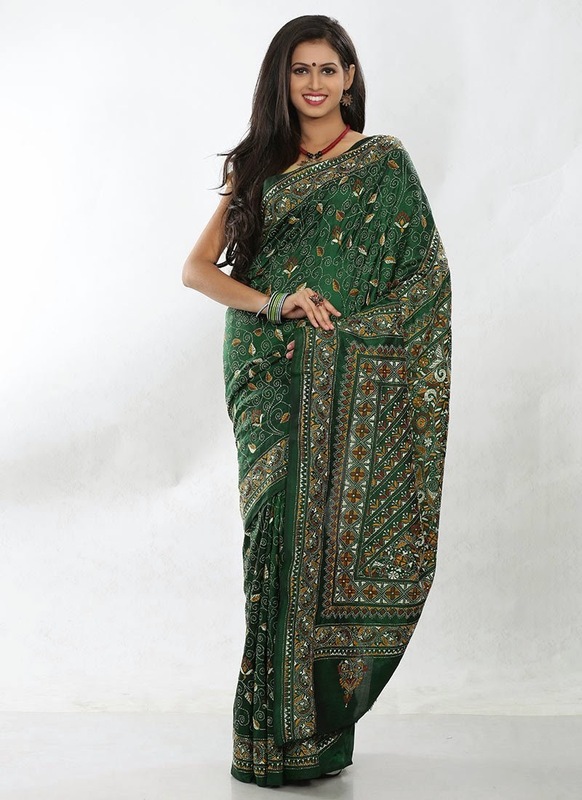 As a result, each state has their specialty sarees as well, and it is these sarees that I fancy the most. Whether it is the Bandhani sarees of Rajasthan and Gujarat, the Paithani of Maharashtra, the Kanjeevaram of Tamil Nadu or Tant of Kolkata. 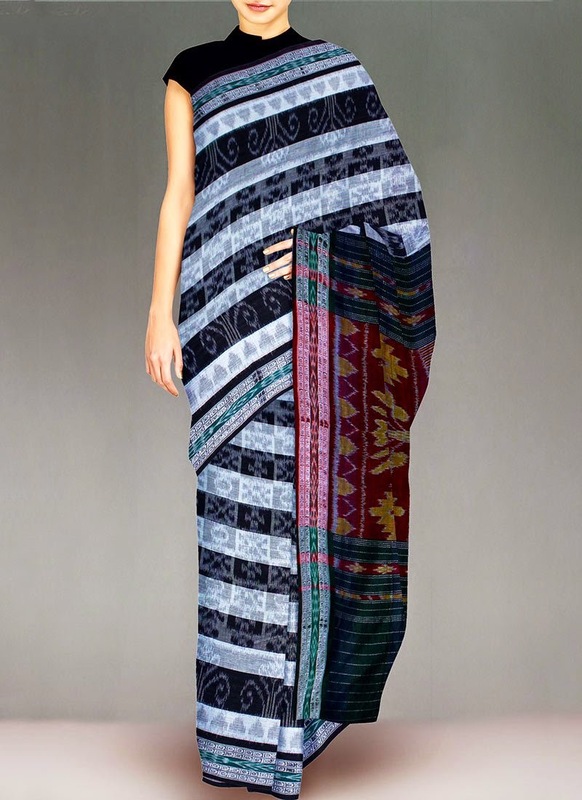 Though I would love to visit each and every state and pick these sarees from their place of origin, it might not always be possible. But thank God to E-commerce, you do not travel so much to buy the specialties of different places. I stumbled upon a site ..Cbazaar and little did I know that I would be in for a treat for the next one hour. 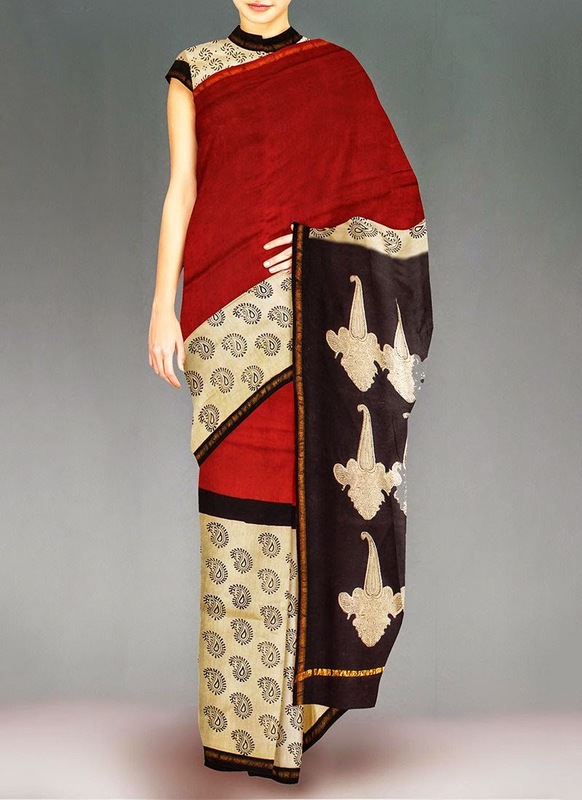 Cbazaar has one of the finest collection of sarees I have seen lately on any online portal. Ikkat, Brasso, Bandhani, Chanderi, Benarasi, Kancheepuram...the list is endless. 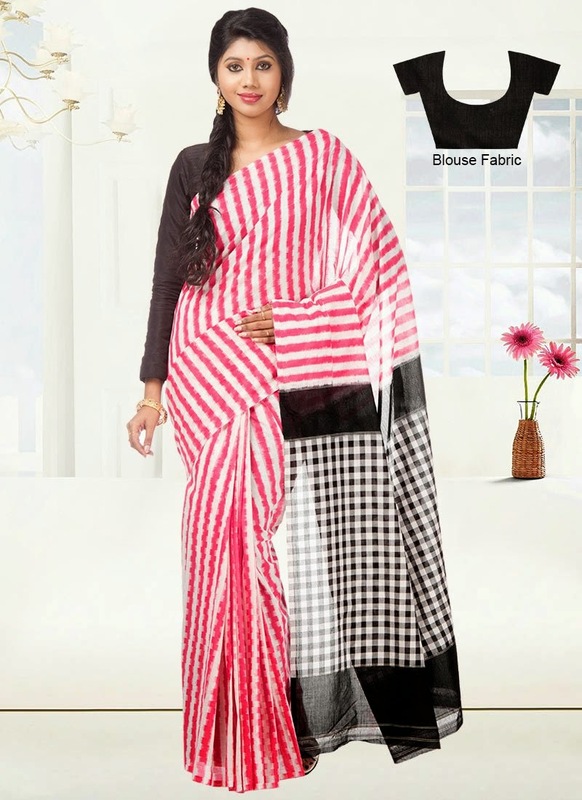 So without much ado, I am going to list down my favourite sarees. Let me know, which one you like. They do seem to have a nice collection! Must check them out!! Yeah Anu..i know that. Thats y i love all ur sarees. I am sure u will carry them off with equal elegance, just try them.